Tom Clancy’s The Division is an online-only open world third-person shooter video game developed by Ubisoft Massive and published by Ubisoft, with assistance from Red Storm Entertainment, for Microsoft Windows,PlayStation 4 and Xbox One. It was announced during Ubisoft’s E3 2013 press conference, and was released worldwide on March 8th, 2016. The Division is set in a dystopian New York City in the aftermath of a smallpoxpandemic; the player, who is an agent of the titular Strategic Homeland Division, commonly referred to as simply “The Division”, is tasked with helping to rebuild the Division’s operations in Manhattan, investigating the nature of the outbreak and combating criminal activity in its wake. The Division is structured with elements of role-playing games, as well as collaborative and player versus player online multiplayer. 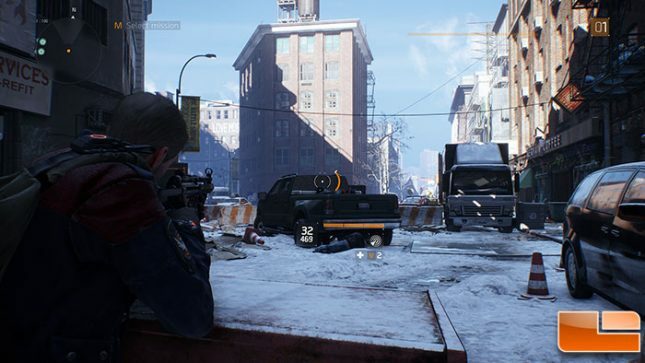 The Division uses Ubisoft’s new proprietary engine known as Snowdrop, which is made for PC, PlayStation 4 and Xbox One. Snowdrop was created in-house, at Massive, in response to a specific requirement: to do things better, not bigger. The engine focuses on dynamic global illumination, stunning procedural destruction and a great amount of detail and visual effects. The developers wanted a powerful engine that works intelligently and not by brute force only. 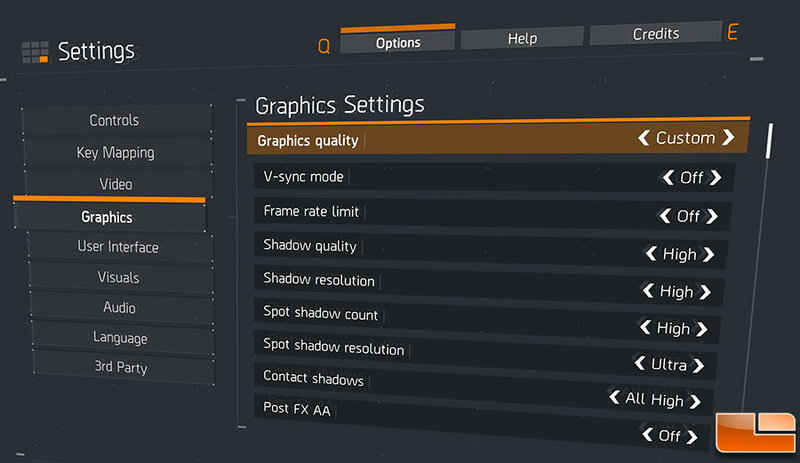 We ran The Division with the image quality settings set at Ultra and VSYNC was disabled. We tried to FRAPS to benchmark with these settings, but found it was pretty much impossible due to the night and day cycle always changing when you enter the game and the spot where you load in the open world is slightly different. Unable to get consistent results we resorted to used the games built-in benchmark. 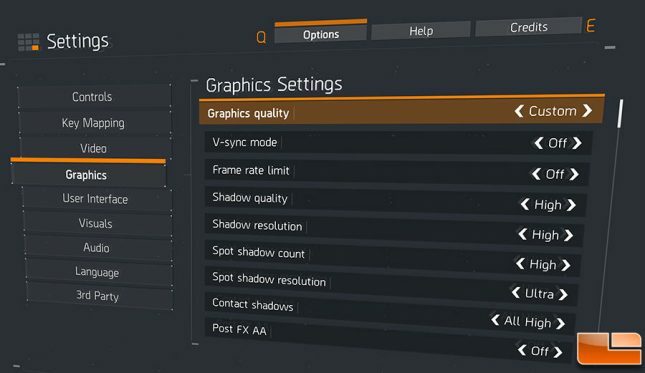 1080P Benchmark Results: The Division is pretty tough on graphics card and the AMD Radeon RX 460 4GB could only average 27.8 FPS versus with our tough image quality settings. This testing showed that the Radeon RX 460 was 12% faster than the AMD Radeon R9 270 video card. 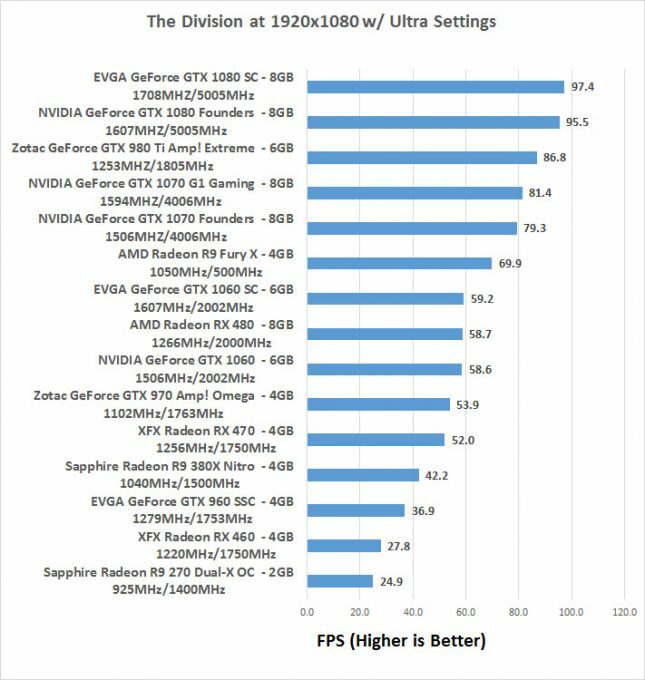 Out testing also showed that it was 25% slower than the NVIDIA GeForce GTX 960 4GB retail card and about 47% slower than the Radeon RX 470 4GB retail card that we tested.